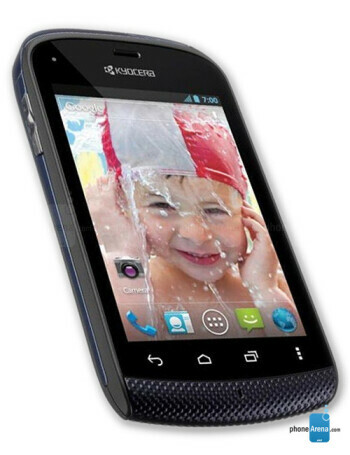 The Kyocera Hydro is a water-resistant phone. It's running on Android 4.0 Ice Cream Sandwich and is aiming for the budget-conscious customer. The Hydro features a 3.5-inch HVGA (320x480 pixels) display, 1GHz single-core processor, 512MB of RAM, a 3.2-megapixel camera and a 1,500mAh battery.